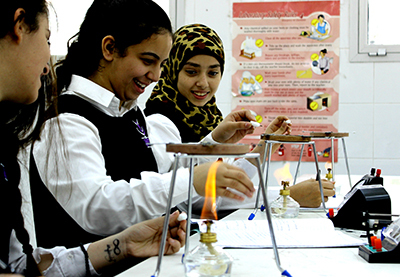 At CBS, we provide a safe but stimulating environment for students to learn, experiment, and discover more about the world. Science is taught in a practical, interactive way wherever possible. As a result, we provide an excellent range of fully equipped facilities. Our labs are spacious, bright, and colourful. They are all state-of-the-art and contain everything students need to carry out practical work safely. The department has excellent resources allowing practical work to be completed at all levels.